Here’s a re-blog of my latest guest blog post for Vogue India. 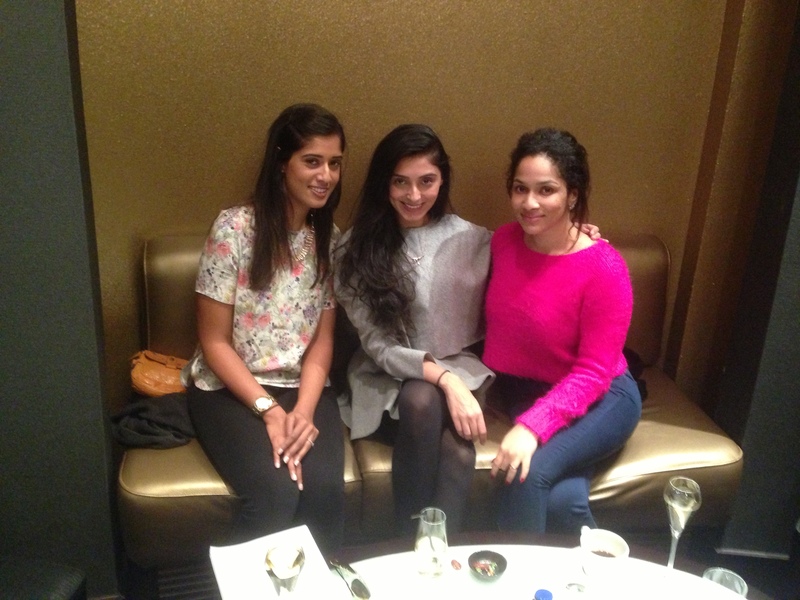 I have to say it was soooo exciting to meet the first ladies of Indian fashion! 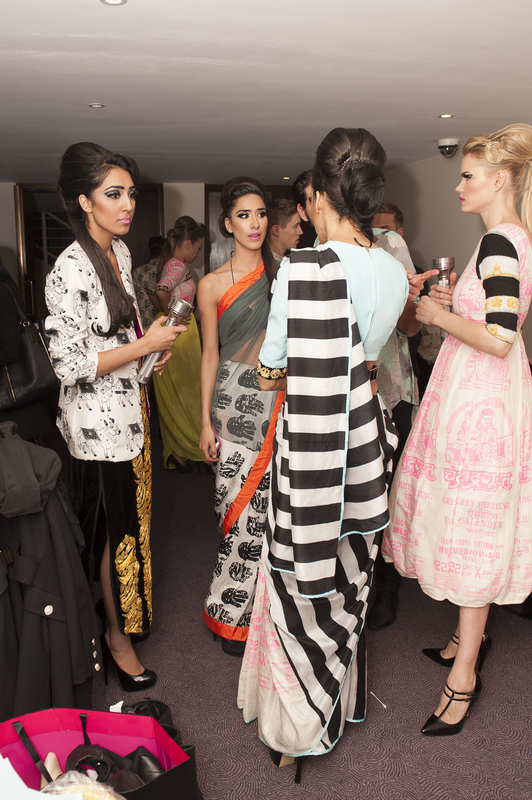 They have both achieved so much in their careers and are two of the many exciting influencers that are making contemporary Indian fashion as exciting as it is…..
Pernia Qureshi and Masaba Gupta popped up at London’s Montcalm hotel on Friday night to organise a fun and fabulous flash mob to support the work of three charities — Akshaya Patra, Pratham and Women’s India Association. I managed to get a quick chat with Pernia and Masaba before the event to find out more about it and why they decided to get involved. “Every couple of months, Pernia’s Pop-Up hosts different events and we always make sure we connect the event with a charity. 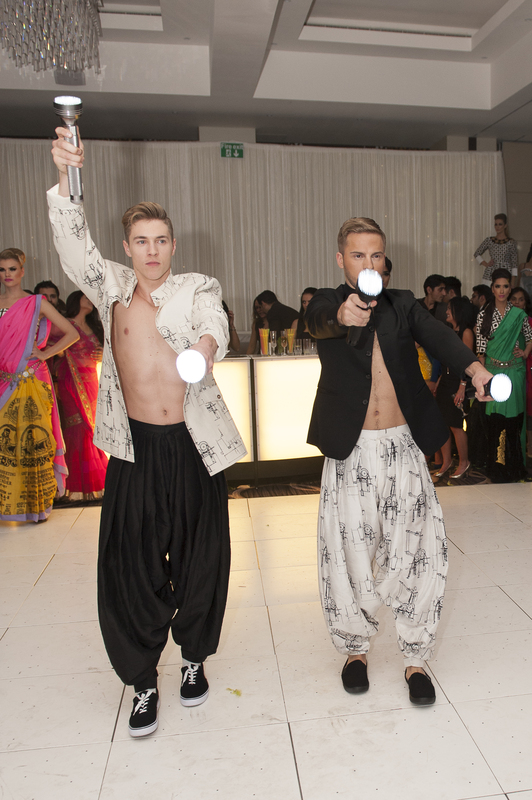 So when Roshni came to me with this idea we thought it would be a great way to support these charities and to connect with our London audience,” says Qureshi. A quick chat with Pernia and Masaba ahead of the event. Image: Shahid Malik. 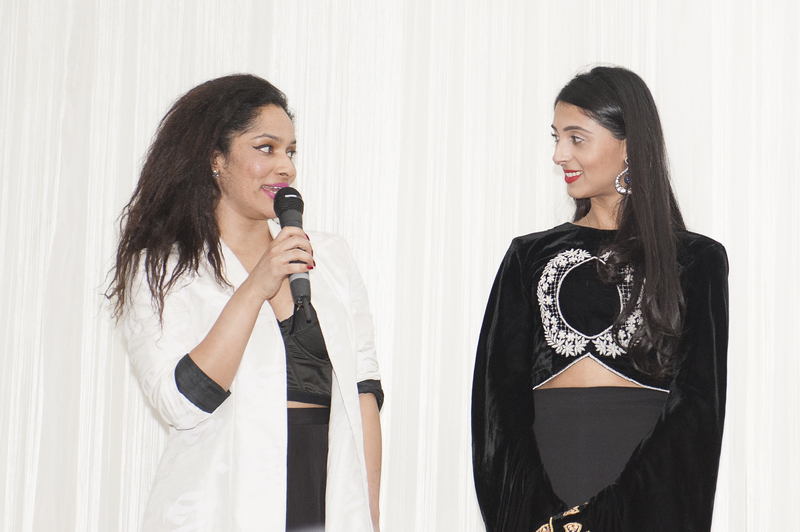 I asked Masaba if she was aware of her UK audience. Masaba and Pernia, the key sponsor of the evening. Image: Shahid Malik. I also asked Pernia how important the international market is for Pernia’s Pop-Up Shop. We also talked about how important it is for Pernia to be supporting new design talent and the fact that she is always looking out for new labels that haven’t had a platform in the past, like Ridhi Mehra, to add to the site. Pernia said that new additions to the site will include footwear label Saint G and an ethnic label Malasa, which she’s excited about. The event was sold out. Here are some pictures from the night. Pernia in front of her Pernia’s Pop-Up box installation with real models and mannequins. Image: Shahid Malik. The flash mob. Image: Shahid Malik. Everyone looks so amazing, Pernia’s outfit is especially stunning!